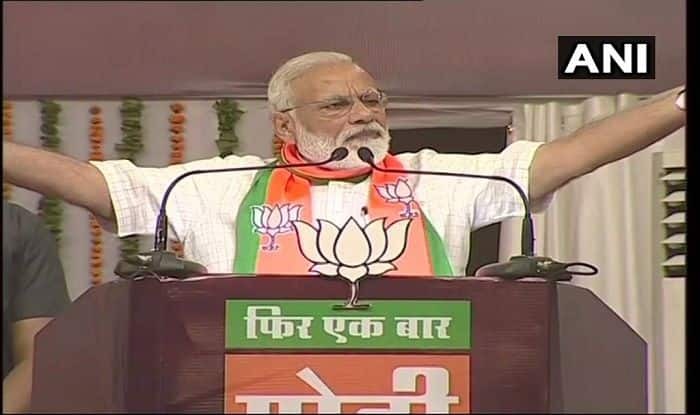 While addressing a rally in Maharashtra, PM Narendra Modi on Wednesday launched a scathing attack on the Congress, calling its LS polls manifesto a "hypocrisy document". New Delhi: Prime Minister Narendra Modi on Wednesday termed the Congress’ Lok Sabha elections 2019 manifesto as “hypocrisy document” and “full of lies”. PM Modi also said he never claimed to have completed all the works (promised in 2014) in five years, but added several important ones have been completed. “I have come here to thank you for your trust and blessings in the last five years and to seek them for the next five years,” the PM said. Recalling the action against terror camps in Pakistan, Modi said, “People have not forgotten the Balakot air strike, despite many saying that they have as months have passed after the action”. This was Modi’s second poll rally in the state ahead of this month’s Lok Sabha polls in Maharashtra. The first one was at Wardha on April 1.